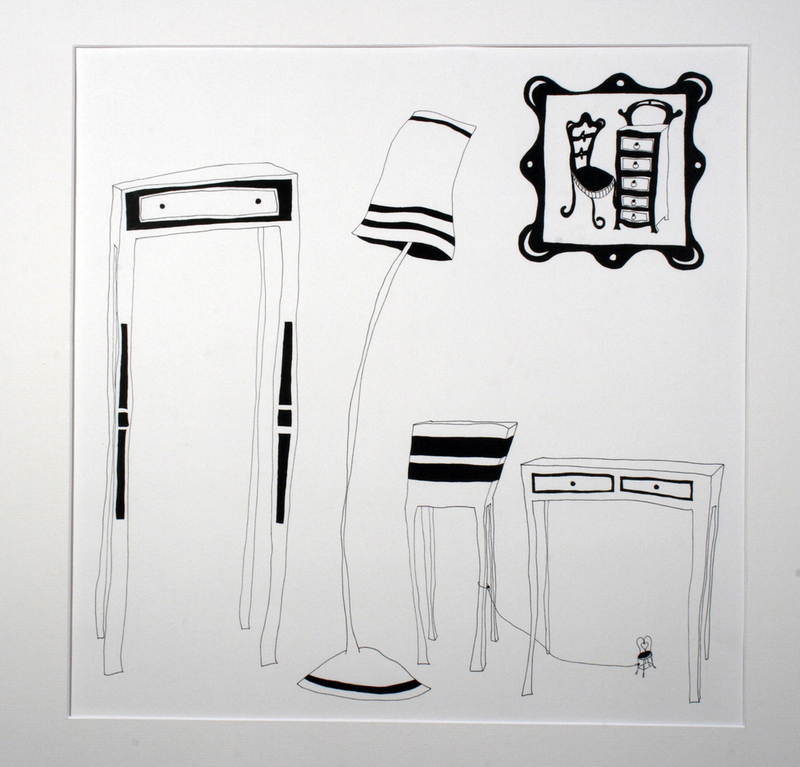 A reflection of the figure lingers in the spaces occupied by the body: furniture, rooms, and clothing. These spaces cannot help but be defined by human touch or presence. Questions and memories linger, the air and surface heavy with touch and familiarity. This space is dramatic and cold, yet inviting like a distantly familiar apartment. 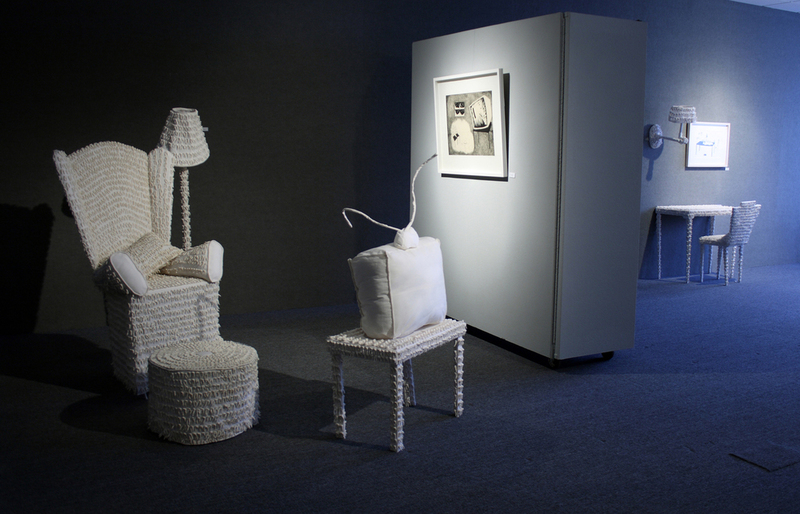 Each section mirrors a room with life-size furniture, from a distance seen as a textural white. Closer inspection reveals the furniture to be a bit stiff, a bit off, and covered with white teeth. Sculpted porcelain teeth represent the particles left behind. Bits of information, strands of identity, unseen and seen these are part of the figure. Each tooth has been attached like beads engulfing the fabricated furniture, particles that lend an eerie voice to the setting. 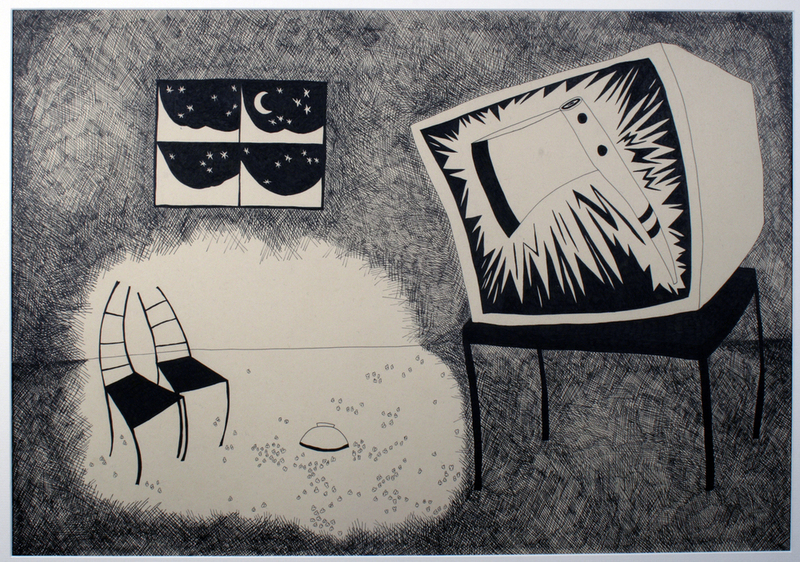 Conversations and confrontations are acted out by furniture in large ink drawings. A little bed dreams of being the first bed on the moon, while a family of furniture pose for an awkward family portrait.